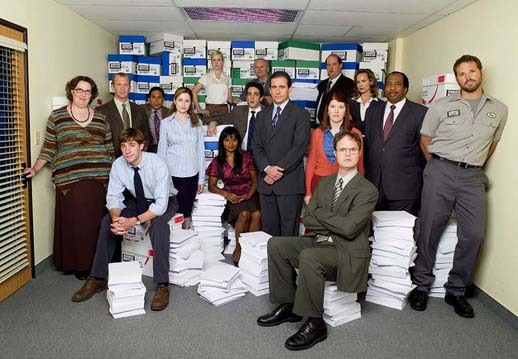 Are you a fan of the TV sit-com, The Office? You can now move from the TV to interacting with that world online. The Dunder Mifflin Infinity social network built around The Office makes fiction a reality; the popular site will soon feature new branches, new tasks, and new prizes, such as Meredith’s blog, Angela and Andy’s wedding planning microsite, a Serenity by Jan microsite, and a second installment of webisodes slated for November. This creative platform is for a fictional world, with fictional blogs and microsite stories. But it is an example of what can be a reality for corporate blogging and microsite use. There is no reason why a real company, perhaps yours, can have a web site that resembles or interacts the same way that the Dundler Mifflin Infinity social networking site does. Questions about corporate blogging, the building of microsites and social networks or even creating videos/webisodes around your company and product? Contact Chris Morrow – [email protected] — or call 619-274-7735, I can answer any and all questions. This is such a great idea! I can’t wait! Who knew selling paper could be so fascinating! oh, paper products are quite fascinating! just ask me! Tell me about the sheets, Noah — I like 22 lb myself, 97 bright. Noah is not to be trusted! Ask his cheerleader daughter!